Students joining the medical profession have to work hard during long hours of practice. Doctors are known for hard work and their inability to take care of themselves in the long run. They forget to provide for themselves at times when they might not be able to work. There are simple ailments like sprained wrist that can keep a doctor from working. This is the time when doctor’s disability insurance needs to be considered. When a student finishes medical school he is in student debt of $166,750. After five or six years he can get a salary as a resident in training of $50,000. During his years as a resident his student debt with interest will reach $400,000, which will take the students at least 30 years to pay back the debt. What can happen if a Doctor gets disabled? Everybody knows that doctors are the highest paid professionals in the country with a salary of $166,000 – $ 280,000 per year. But after paying the debt and planning for retirement, doctors cannot remain without a salary check for a week. So it is best to have disability insurance to help out on a rainy day. The Disability Awareness council reports thatfemale doctors in their 30s have 24% chance of getting disabled for three months while male doctors have 21% chance of getting disabled during the same time. This would put the doctor to a lot of inconvenience to meet his daily expenses as well as pay his retirement saving instalments and his student debt instalment. How disability Insurance can take Care of any Eventuality? Disability insurance with one of the companies in America can help a doctor to manage his finances during his disability. 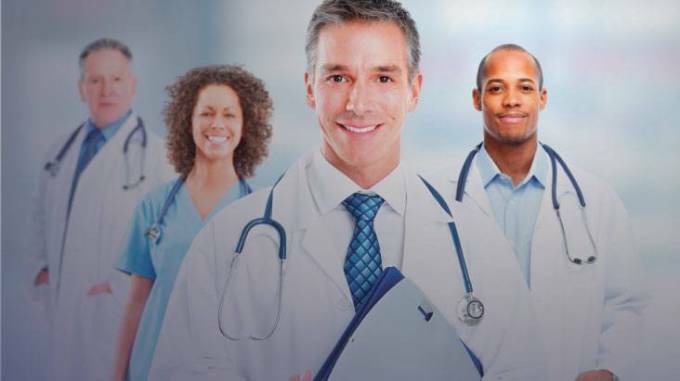 DisabilityPro- known as own speciality disability insurance takes care of the specialist and the physician. The insurance cover is portable and takes care of the physician’s income so he can provide for his family. DisabilityPro insurance providescoverage in the physician’s own speciality when he is unable to perform. You can get $15,000 in monthly benefits. All physicians receive a reduction of 15% while AMA members receive 35% reduction. If there is a catastrophe rider in the policy he can get paid for nursing as well as health care at home. Portable coverage extends till changes in employer take place. As responsibility and income rises disability income might not be enough and you may have to get coverage that is available for physicians under 60 -64 years. Physicians understand the benefit of disability insurance policy and how important it is for their future. The most important part of the contract is the disability definition. In many of the insurance coverages own occupation is used which might mean the physician’s inability to carry out substantial and material duties of a physician. But how will it work if a physician cannot carry out surgery but can manage consultation? The surgeon will get the full disability benefit of his own speciality although he may be working in another speciality. Whenever you are taking an Insurance policy for Diability coverage in own speciality check all the specifications properly and avail of all the benefits.